Thank you for your continued interest in Sony products. 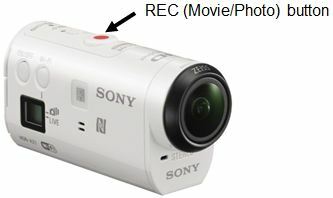 Sony is offering a firmware update for Action Cam HDR-AZ1 version 1.01. 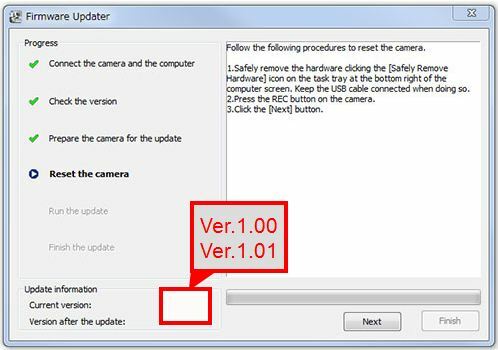 This update is only for HDR-AZ1 cameras that currently have a system software Version 1.00. 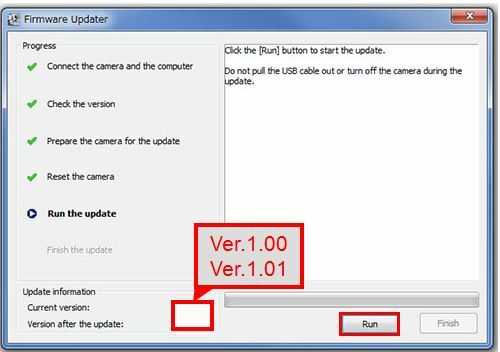 If your camera system software version is already Version 1.01, this update is not necessary. Fixed the symptom where, depending on the region where the camera is used, GPS logs (in movie recording) and/or location information (in still image recording) may not have been recorded. Fixed the symptom that when using the Live-streaming function, images were distributed in an incorrect size with the video size set at 1280x720. 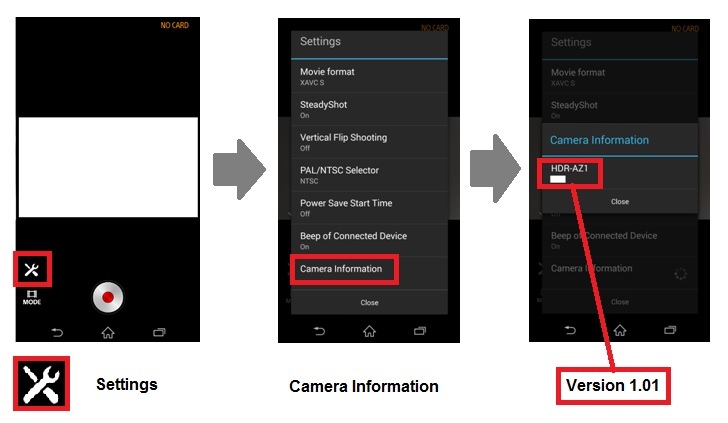 Regarding the installation method of PlayMemories Mobile and the connection method to the camera, refer to the instruction manual supplied with the camera or Connecting the Camera to Your Smartphone section in the HDR-AZ1's Help Guide. The version will be displayed on Settings → Camera information in PlayMemories Mobile. Fully charged rechargeable battery pack NP-BY1. When performing the system software update, please use a fully charged rechargeable battery pack NP-BY1. Do not remove the battery or USB cable during the update; otherwise, the camera may become inoperable due to the sudden power shutdown. Click on the file Update_HDRAZ1V101.exe to begin download. Please save the downloaded file onto the Desktop of your computer (recommended). Note for Windows 8 users: Under the initial settings of Internet Explorer, the update file will be saved in the Downloads folder. Click the Desktop tile from the Start screen and find the downloaded file in the Downloads folder by using Explorer. Double-click the downloaded file Update_HDRAZ1V101.exe. 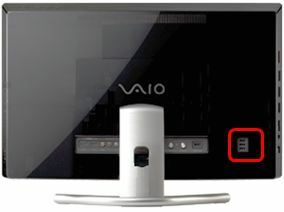 At this time, confirm that the icon is displayed on the task tray at the lower right corner of the computer screen. 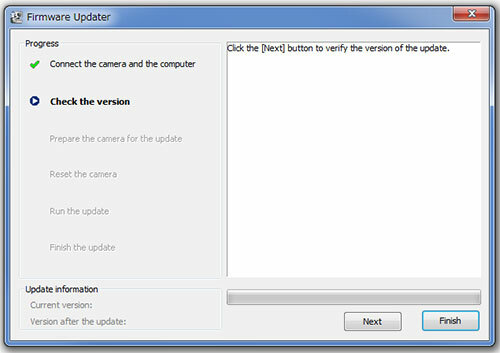 After confirming the above, click Next on Firmware Updater. 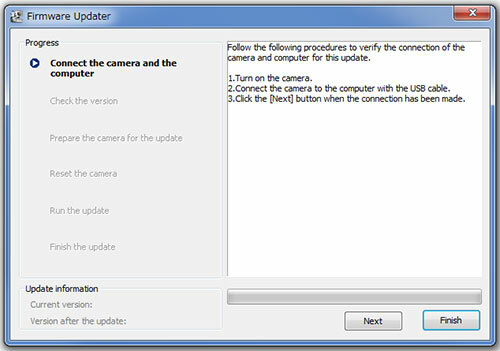 Figure below appears on Firmware Updater. 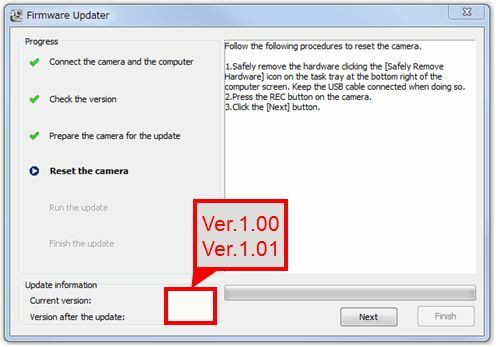 IMPORTANT: From now on, never turn off the camera until the firmware update is completed. After confirming, click Next. The current version and the version after the update appear on the lower left part of the screen. 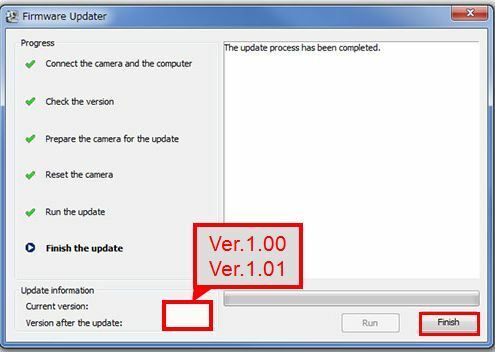 Note: If the screen on Figure 5 appears, the update is not required. According to the message, stop the USB connection and click Finish. Turn off the camera, remove the battery pack, and then turn on the camera again. Press REC (Movie/Photo) button to execute. Note: Display panel turns off when REC (Movie/Photo) button is pressed. Please proceed to the next step. Click Run to start the update. The progress bar appears while updating (approximately 12 minutes). 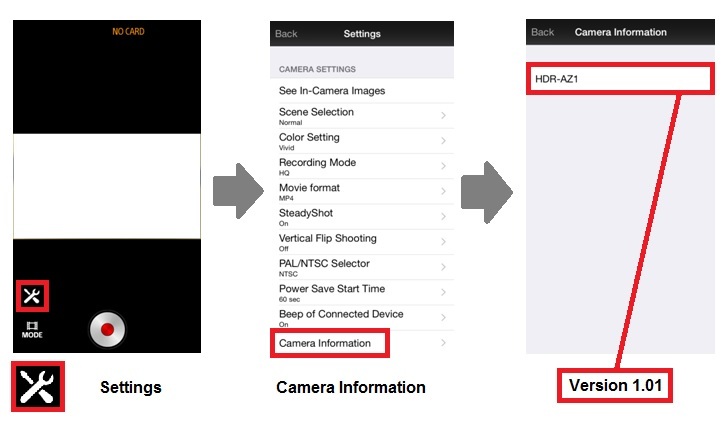 Regarding the installation method of PlayMemories Mobile and the connection method to the camera, refer to the instruction manual supplied with the camera or Connecting the Camera to Your Smartphone section in the HDR-AZ1’s Help Guide.